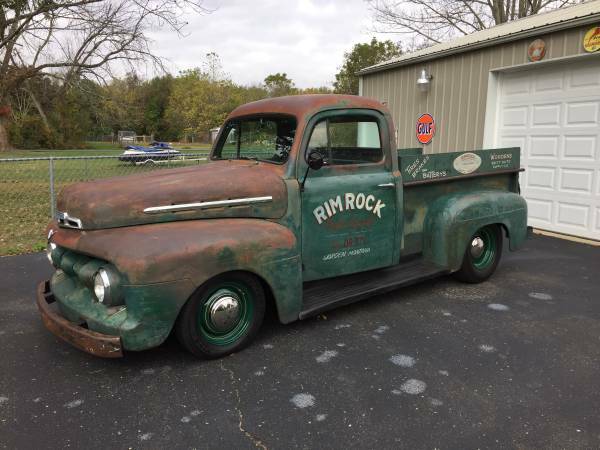 Found this one cool American old truck that was offered in Craigslist for $20000. This a first generation Ford F-Series well-known as F1 truck released in 1951 has been many upgrade and custom parts, powered by a 302 Motor mated by C6 automatic transmission is said excellent condition overall, it fairly cool low profile on patina look and interior was good too, worthy to kept it. Unfortunately it no has a lot info and detail was written on its ad, so should ask or come to see if you seriously want. Here's we found this one unique luxury sports car, was made by a famous builder of Indy race cars, Frank Kurtis and manufactured in Chicago by Muntz, known as the "Muntz Jet" is early model year were released in 1951 perform as a fairly cool 2-door coupe with extended the body to make it a 4-seater, and has powered by a big Cadillac V8 engine mated with a Hydramatic automatic transmission. Is said only need 6 seconds from 0 to 50 mph and 125 mph for top speed, that's a seriously fast performers in its era. 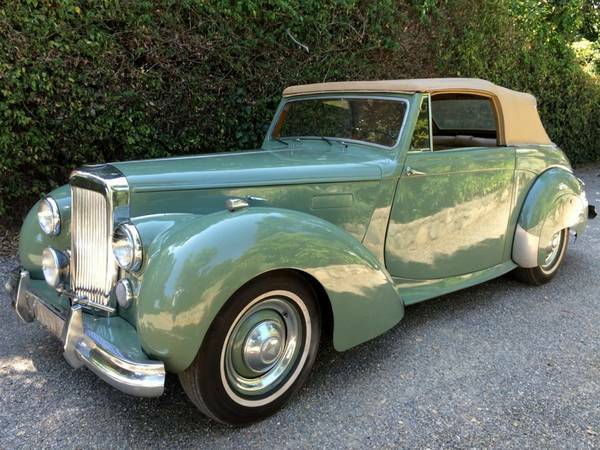 Currently, this considered to be one highly collectible hand-built car in the US, is a rare car with low production numbers, most of the cars were sold to few rich buyers in Hollywood. Only about 400 cars was sold during 1951-1954, shortly thereafter, the Muntz company collapsed because of losses about $1000 on each Muntz Jet sold. And this a Muntz Jet number 143. As we've seen here this could be a perfect start to restore overall. 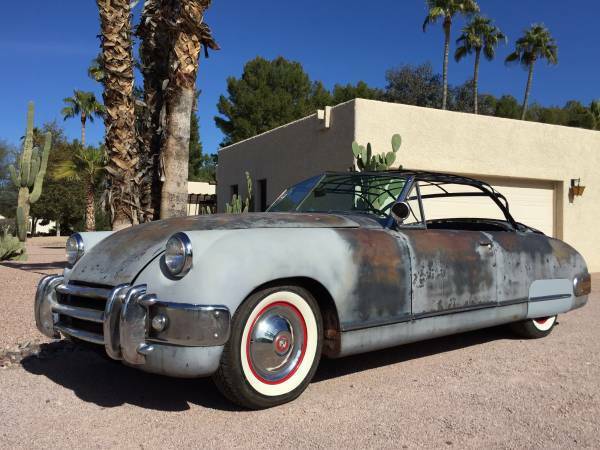 This 1951 Muntz Jet is a running, driving project that’s undergone quite a bit of work recently, including a rebuild floor, reupholstered front bucket seats and more. May about 65% has been done, not so far to be greats at least without talk the engine issue. 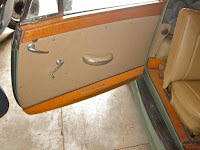 Need a body expert for continuing work at frame, such as removing few dings was shown here as well as repainted as finishing touch, and a fiberglass removable top in need of attention to finished. 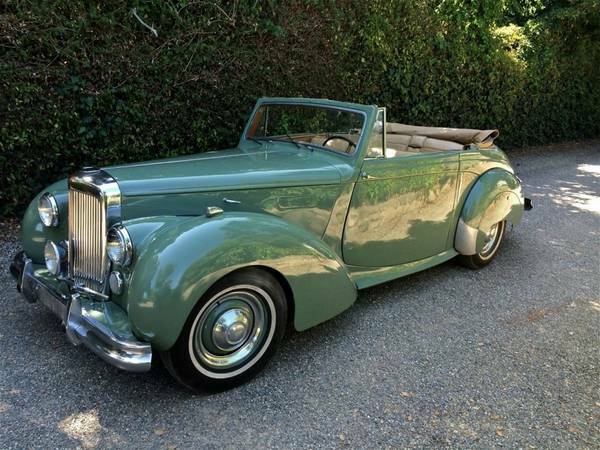 The original engine was swapped by previous owner with a younger 1957 Lincoln 368 C.I. engine and was mated with its original G.M. Hydra Matic. Yes it third generation of the Studebaker Champion built in 1951 come with unique face that was called the "spinner" grill, similar to that of a Ford Deluxe its era, but the Spinner seems more akin as aeroplane rather than a car, you can see a tail on the back and tiny wing on front hood. 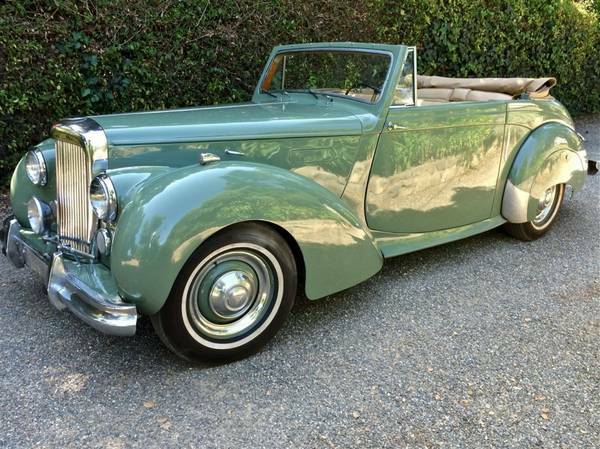 The Champion was one of Studebaker's best-selling models because of its low price, durable engine and fuel economy come with good styling its era. The owner says about 3 on the tree on his description... what mean that word? For classic cars enthusiasm it's about a three-speed manual transmission whose gearshift lever is mounted on the steering column. Despite it looks have gearshift lever on the steering column as the original factory specs use, the owner bothered that was called. Yes he just doesn't like what are called tree inside his car... hi..hi.. Sorry about that. Is not specifically said to be original interior, but given the condition of the interior it’s a fair guess that it may retain a good degree of its factory finish. The inline L-head six-cylinder engine looks a bit messy but is runs good very well. The exterior looks as is the best part of whole of this. 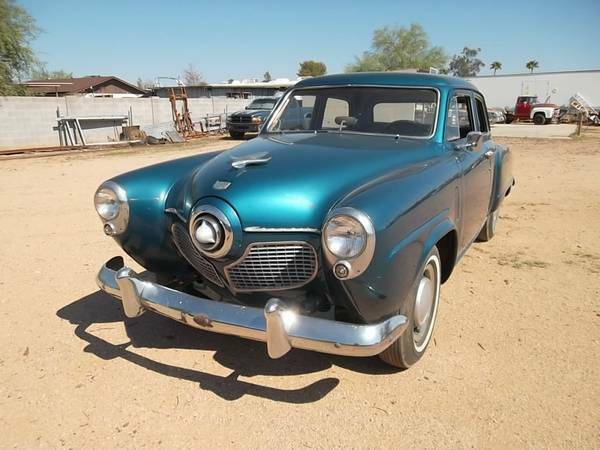 Overall it a nice 1951 Studebaker Champion asking $6500 location in Phoenix. It very potential unique car to restore. Here's the British vintage car were produced by Morris Minor, as the picture is a first generation Morris Minor 2-door saloon released in 1951 come with Low Light styles commonly known as the Morris Minor MM. 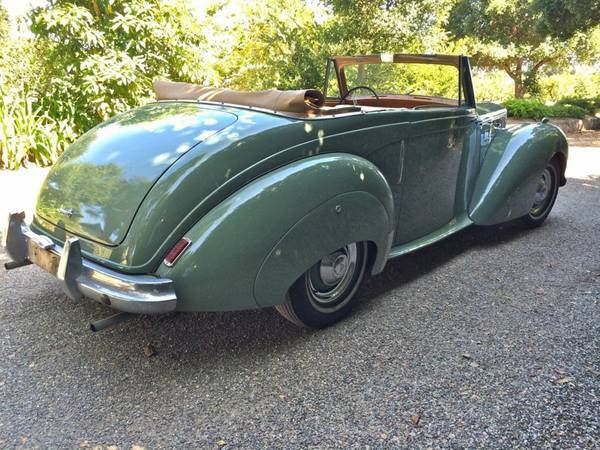 Concept was to combine the luxury and convenience of a good motor car at a price affordable by the working classes. 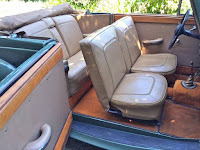 The pics as confirm, it looks so awesome original old car runs and drives as well, the interior and engine looks ok and very well maintenance, 9 of 10 points be given as original used old car. 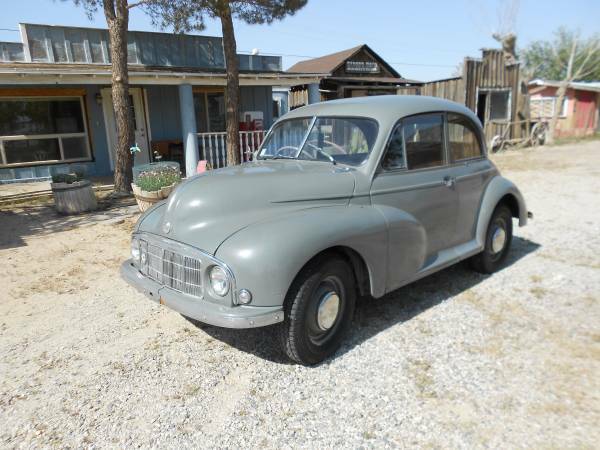 Overall it was an British vintage economic car, 1951 Morris Minor Low Light ready to go for $7000 location in Lancaster. So if you want him, please come to see itself is a must. 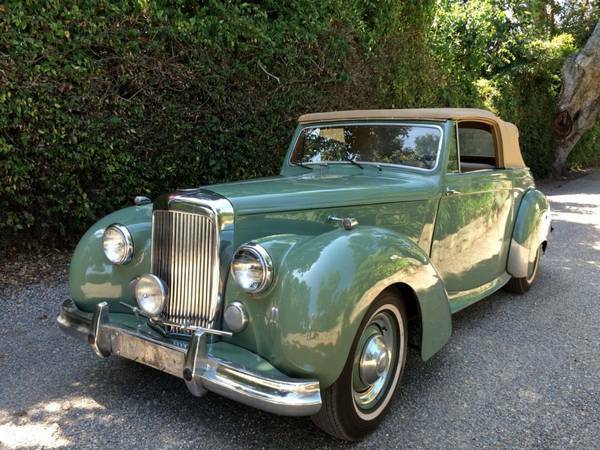 This the beautiful classic car restored, the British 2-door drophead coupé produced by Alvis Cars in 1951, it a TA21 model very rare, built by Tickford only 302 dropheads and this is one of only 80 produced in Left Hand Drive. The total TA21 production is 1316. 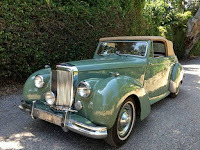 The Alvis type TA21 was announced in 1950, looking much like its TA14 predecessor but featuring independent front suspension and a new, overhead-valve, six cylinder, three litre engine. 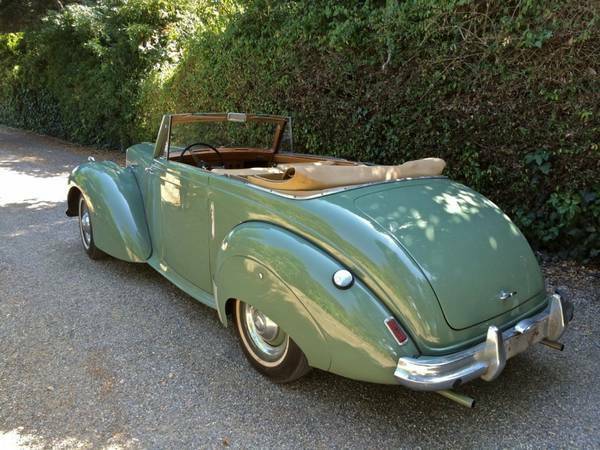 Styled along classic, pre-war lines, the Three Litre was reckoned by Autocar magazine to appeal to 'discerning owners who appreciate quality and good handling as well as performance.' 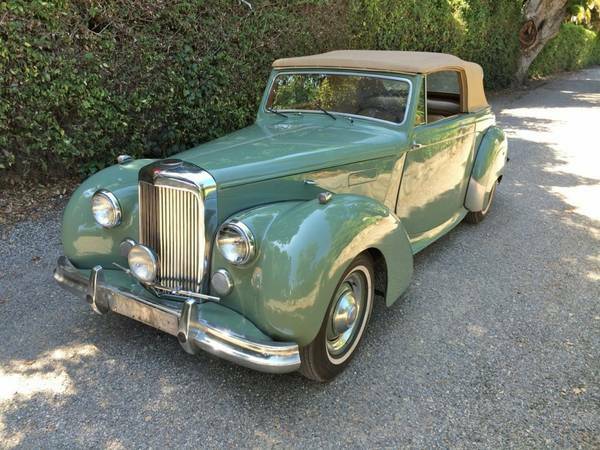 Additions to the range of models were not long in coming; a sports two-seater and a Tickford bodied two-door drophead coupé being announced for the 1951 season. 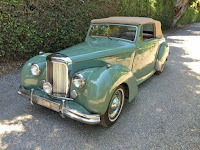 The introduction of open-top models was calculated to boost sales in the United States market where Alvis was beginning to make an impact. Perhaps the best thing about it is that many of the handling characteristics of the sportscar have been built into the chassis which, combined with a low centre of gravity and a reasonable amount of space, make this fine car something of a compromise suited to those who want both family car and sportscar features all in one. Tickford built 302 dropheads and this is one of only 80 produced in Left Hand Drive. The total TA21 production is 1316. 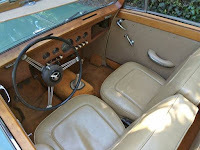 This car was completed on February 4, 1952 and delivered to De Nederlandsche Motors Rotterdam with the following special features: Lucas headlamps, dip switch and pattress, Trico windscreen washer, Bonnet ventilators, polished wood cappings to screen pillars, twin carburetors and heat def., sun visors, new d/light levers, Kilo speedometer, and Dunlop tires. 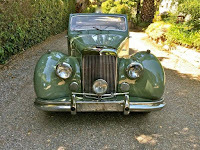 It is reputed that the first owner was Pia Beck, a famous Dutch jazz pianist and singer. Besides being considered the "best Jazz pianist in the world" and performing for such dignitaries as General Eisenhower, Walter Cronkite, the British Royal Family, and Freddy Heineken, Pia Beck owned over 47 different cars in her lifetime with open sports cars her favorite. 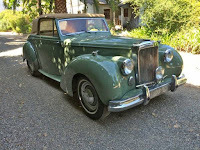 Other owners are the Museum in the Netherlands, Stephen Langton (Surrey, England) and then in 1987 the car was exported to Canada where it had two owners. 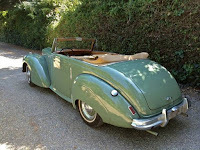 The car is finished in Willow Green with fawn leather interior and top. It was restored and is manual shift.